Here I will show you all list of Save , Save As… , and Export file types. As per your need you can use these file type ! If you want to save your file to default file type then you can use this command. However it will open ‘Save As’ dialog box for first time if Drawing file is not saved. 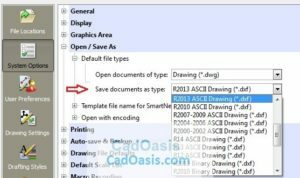 If Drawing file is already saved in default file format then this command will save new changes in drawing without dialog box pop up. 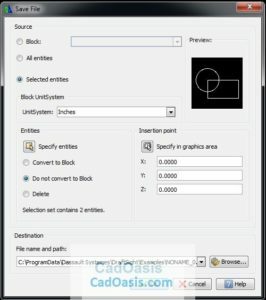 How to change default save type ? Here , Change save document as type ! When you run this command ‘Save file’ dialog box will appear Choose Save as File type and Click on ‘Save’ tab. Wait this is not over yet! Select the entities/objects you want to export and if you want to export all objects and viewpoints then Just Press Enter. 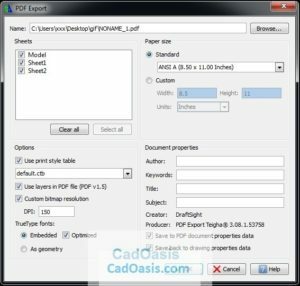 A dialog box will pop up to export Drawing file Sheets into PDF with variety of options . 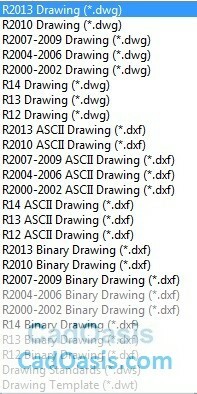 You can set Document Properties for these PDF files.